Have you ever wondered how to bring all the ages and stages together under one roof to share the gifts and joys of combined breath awareness and movement – well ‘Family Yoga’ can provide the unique opportunity to do just that! Discover how to create family yoga classes that captivate, engage and challenge our different ages and their parents in fun, dynamic and creative ways. This training is facilitated in a practical, interactive, educational, creative, fun and inspiring format. Acquire a broad range of foundational knowledge and skills to understand the elements that comprise to create a themed family yoga class such as breathing and mindfulness activities, warm ups, partner and group poses, games, creative expression and taking a yoga rest to connect and relax with your child. Learn how to facilitate classes safely for all participants. In addition explore how to further develop connection within the family through the creation of special events geared at specific ages for one parent and child. The recent development of family yoga has provided a special way to create connection, shared activities and treasured memories for families. 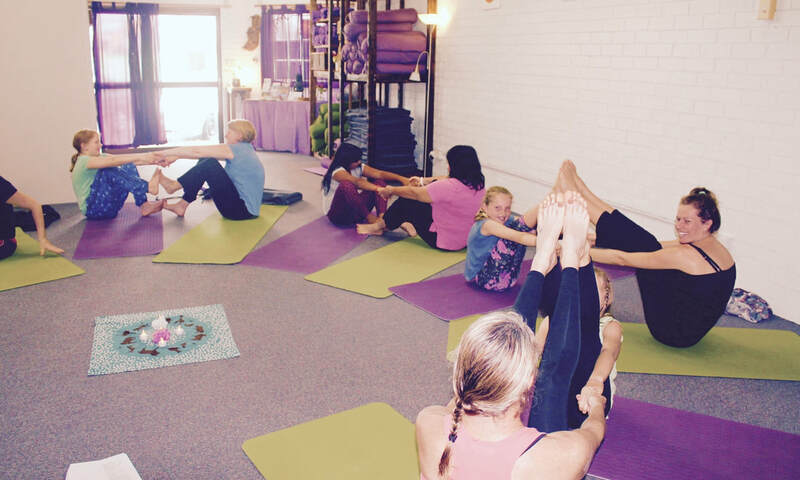 We can clearly see the benefits and why family yoga continues to gain increasing popularity as stress levels rise, family time lessens and quality time becomes precious. We have observed how many children are participating in extra - curricular activities and think this is wonderful! But what we have noticed is the sheer delight and joy that comes from children engaging in one of those activities with their parent or parents beside them to share the experience. Family Yoga creates a moment in time to connect to the playful inner child that resides in our children and is always present throughout our lives. Laughter, movement, bonding, connection and play nourish the entire family and remind us of what is truly important in our lives! Come play and create family yoga for all. Communicating with parents and guardians. Registered yoga teachers are eligible for 8.5 hours of Continuing Education hours through Yoga Alliance Certification, as this training is presented by a YACEP (Yoga Alliance Continuing Education Provider). ​This one day training is open to parents/guardians and their children, family-based educators, yoga teachers and yoga enthusiasts. "Karen's teaching is the perfect balance between professionalism and fun. The course is very thorough and the practical and written tools she provides are excellent. You leave the sessions with all the skills and confidence to start teaching yoga to children and families immediately. On a personal level, Karen's enthusiasm, energy and beautiful heart really did allow me to see the best, not only in myself, but everyone else around me. Karen, I can't thank you enough. Namaste."